Help us bring LOVE STORIES to life! 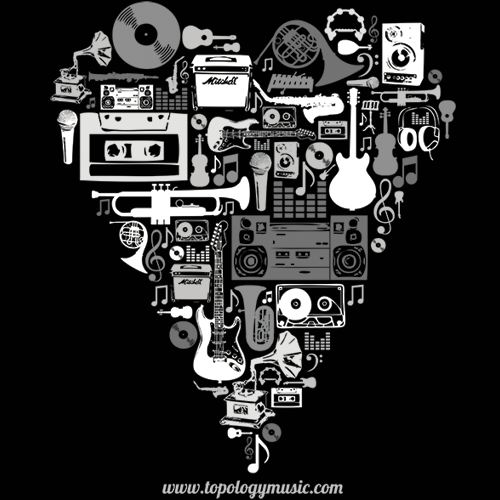 Buying this shirt will greatly assist Topology, Karin Schaupp and Trent Dalton in bringing their original production, LOVE STORIES, to the stage at 2 major festivals in Australia. A woman saved from suicide by her pet budgie; the true love of children and parents long lost; the unexpected love of strangers in the street; a baby born on the edge of homelessness; the love of learning to read and write; the enduring love of music. 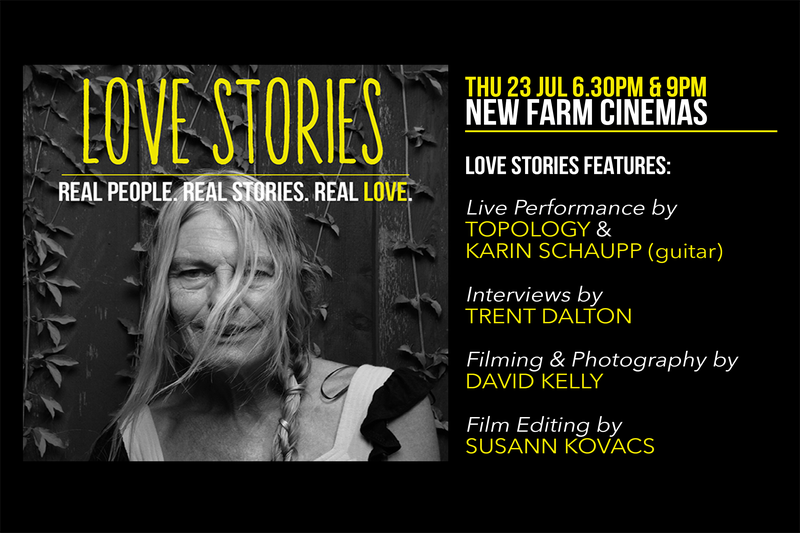 These love stories form the basis of a new collaborative work with award-winning journalist and filmmaker Trent Dalton, director of photography David Kelly, internationally renowned guitarist Karin Schaupp, ARIA-nominated quintet Topology and the patrons and staff at Fortitude Valley's iconic 139 Club drop-in centre for Brisbane's homeless and at-risk. Like love, the solution to homelessness in Australia will not be black and white. A contemporary tribute to love, Love Stories reveals that amid the pain, loss, isolation and desperation on the streets there is often warmth and kindness and community and love. Love Stories is not about providing solutions to the growing issue of homelessness in Australia. It's about adding colour to all that black and white. HOW CAN YOU HELP BRING LOVE STORIES TO LIFE? It’s a tough business creating original productions at a level people want to hear and experience. Even with a sell-out show, production costs including staging, venue hire, filming, travel costs and artist fees add up very quickly. Your support will ensure our newest production, LOVE STORIES will be performed at Queensland Music Festival and Darwin Festival this year. These events aren’t far away and our funds are currently short. Very soon, we’ll need to make important decisions about what we do next. Your gift has the power to stop these tough decisions needing to be made. Reaching our $10,000 target will ensure this compelling production can achieve the standard it truly deserves. Your gift has the power to be a game changer. You see, if we can perform LOVE STORIES at these important festivals, the production will gain momentum. This momentum can carry the work forward to reach even more audiences around Australia into the future. Please consider buying a t-shirt or making a tax-deductible donation today. Thank you. Big or small – your contribution will truly make a difference. Share the love! Post, tweet, email, share these links!